Welcome to my blog. 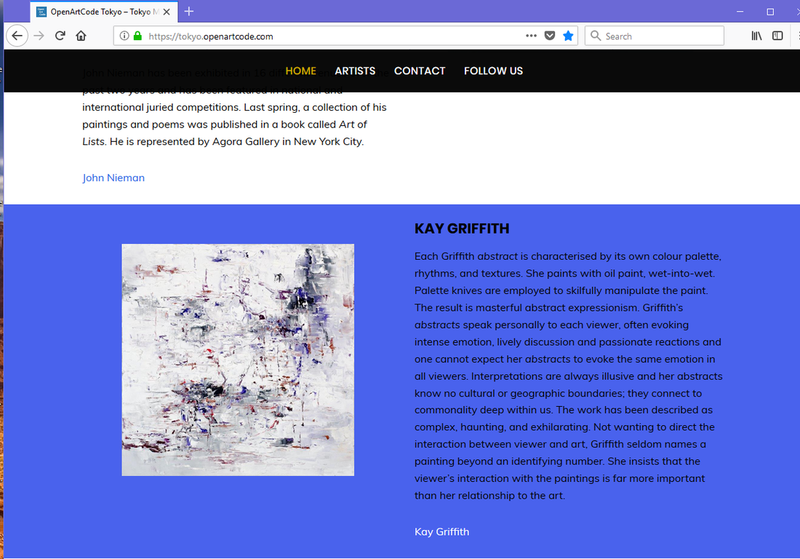 This blog has been established as a part of my effort to communicate with all of you who are interested in my paintings and my professional art career. Rather than saying anything about what prompted a particular painting, I will share "musings" from time to time. My paintings speak for themselves. Any interpretation by me will interfere with each viewer's interaction with a painting. I offer viewers the opportunity to see, analyze, imagine, and discuss. Reactions, whether analytical, deeply emotional, or visceral, are all given validity because of my neutrality.
. By invitation I have work in the Biennale Chianciano exhibition that Opens August 11, 2018. There are 100 artists from 40 countries who have been invited to exhibit. I am very honored to be among them. Below is a copy of my page that will be in the catalogue for the exhibition. Here is your invitation to the exhibition. 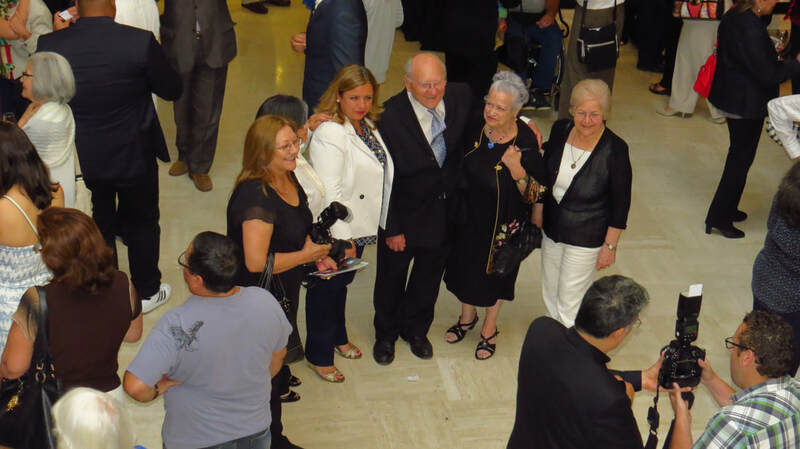 In 2017 I was invited to be one of the two artists invited to represent the USA in Art of the Americas held at the City Hall, Ottawa, in celebration of Canada's 150 anniversary. 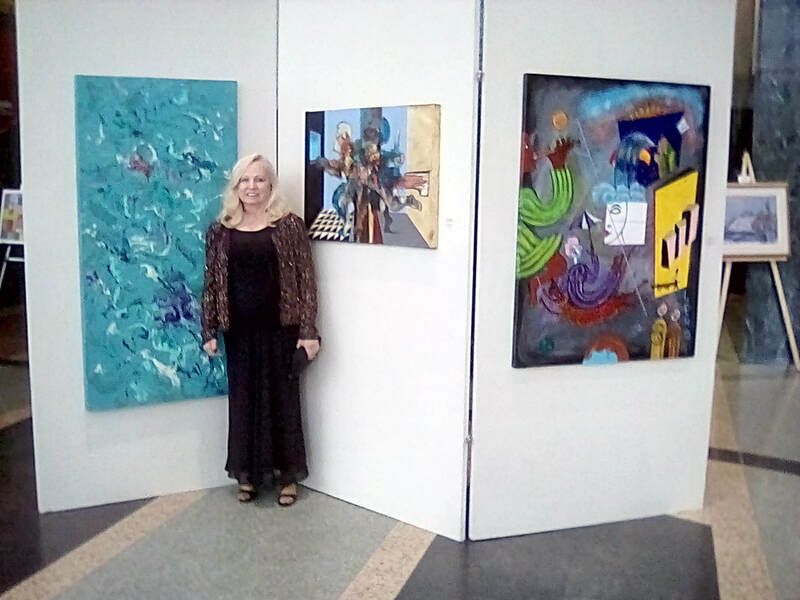 I am standing with my painting Abstract U-311 to my right and painting by LeRoi Johnson from USA on my left. 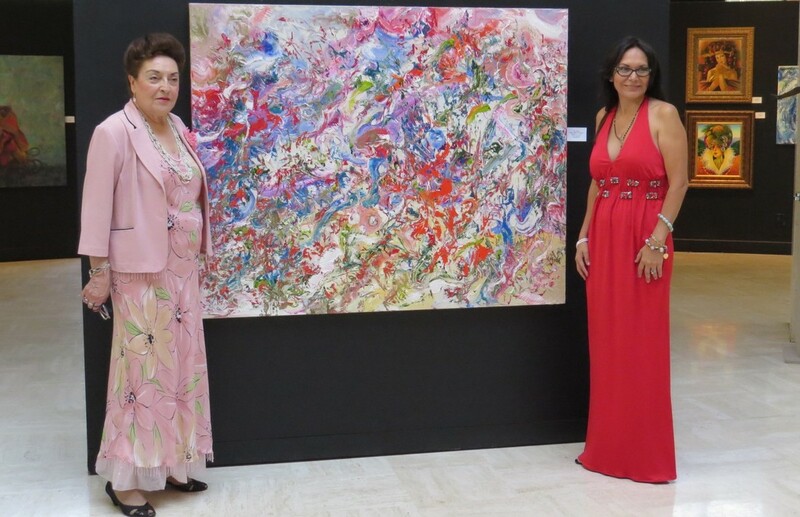 In 2016 I was the artist from the USA invited to participate in Art of the Americas, held in Lima, Peru. 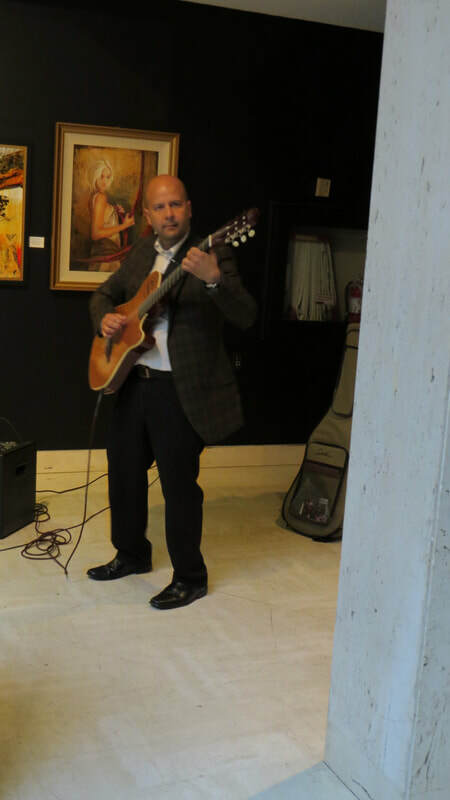 The show was held at Galeria Terra Art in Lima. 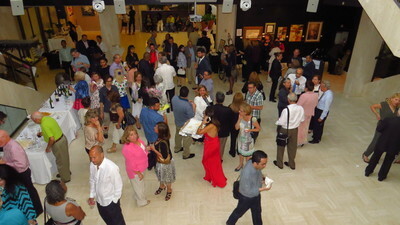 Celebrating the Toronto 2015 Pan Am and Parapan Am Games, Art of The Americas was held in the Joseph D. Carrier Gallery of the Columbus Centre in Toronto. An artist from each of the countries participating in the games was invited to participate. 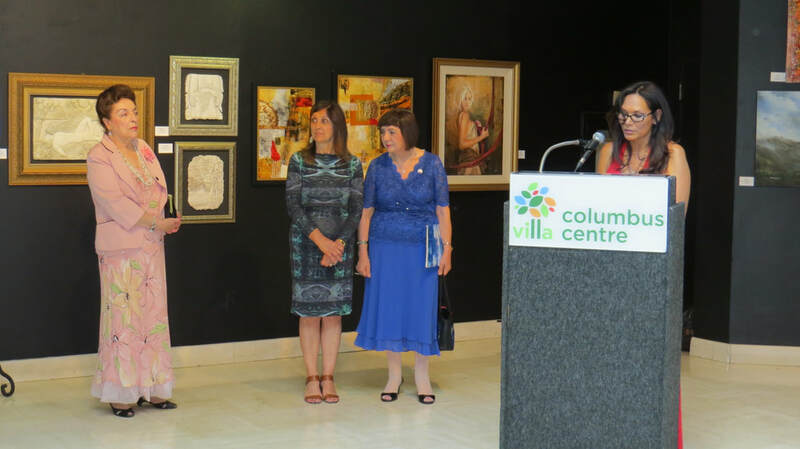 I was honored to be the artist from the USA who was invited. 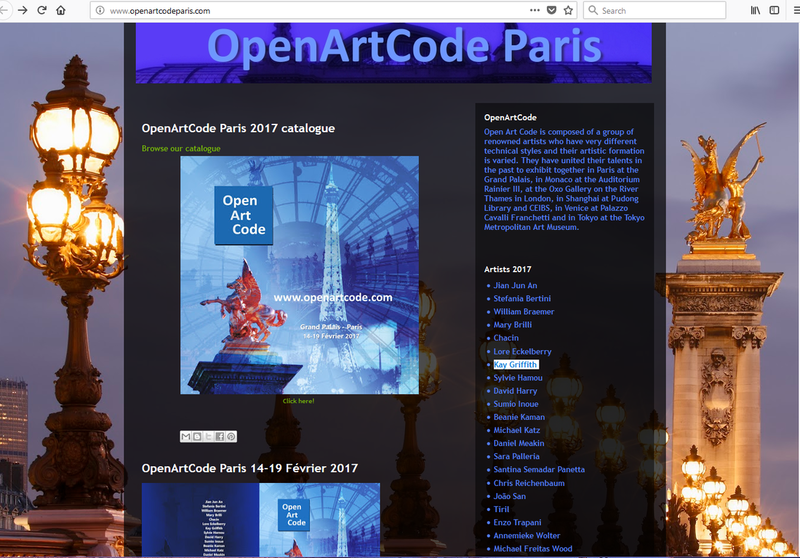 Below are screenshots from Open Art Code Paris section of the Open Art Code website. 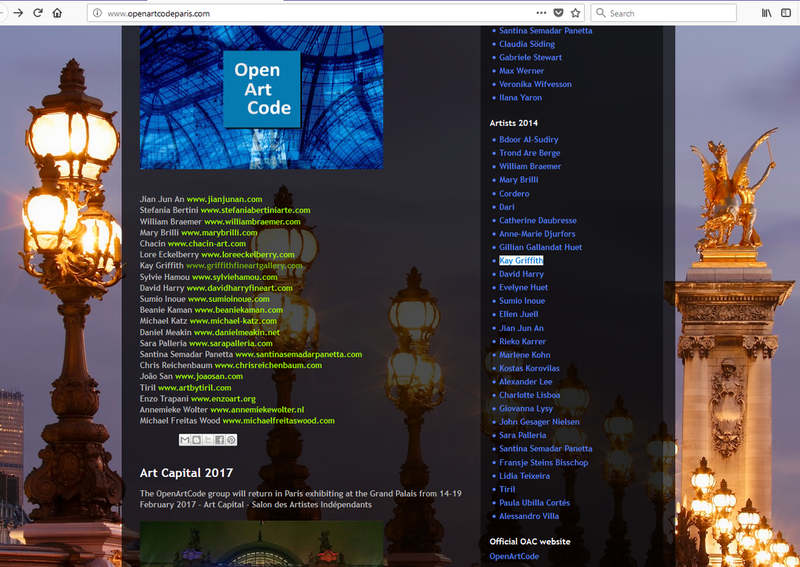 I have highlighted my name in the list of artists who had work in the exhibitions Open Art Code Paris is an exhibition in conjunction with the Independent Artist Association of France as a part of Arte en Capital. There is a separate and long blog post for 2014 because that exhibition was very dear to me personally---it marked my first exhibition in Europe and on an incredible platform. I have had paintings included in this exhibition in 2014, 2015, and 2017. 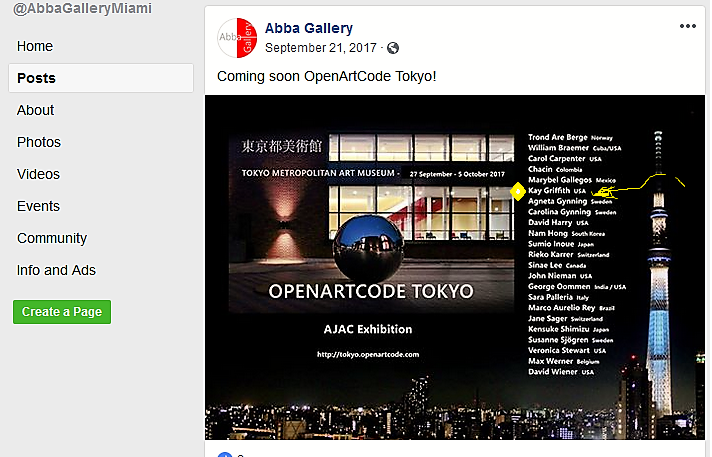 My paintings were on display in a group exhibition at the Tokyo Metropolitan Art Museum held from September 22 , - October 8, 2017 The exhibition was called Open Art Code Tokyo. 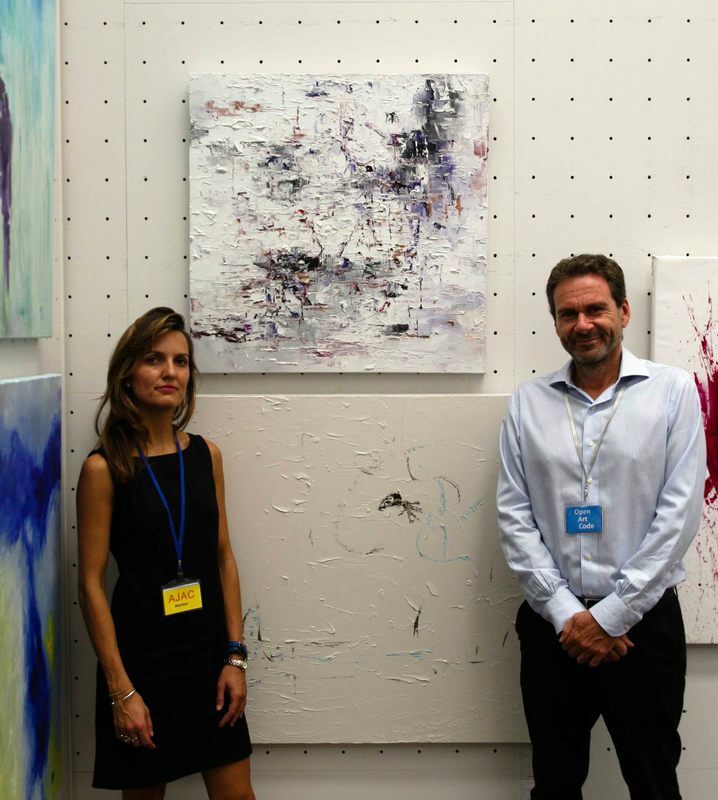 Carlotta and Vito standing with Kgriffith abstracts on exhibition in the Tokyo Metropolitan Art Museum. KGriffith Abstract U-320 36x48 Oil was included in this museum exhibition. 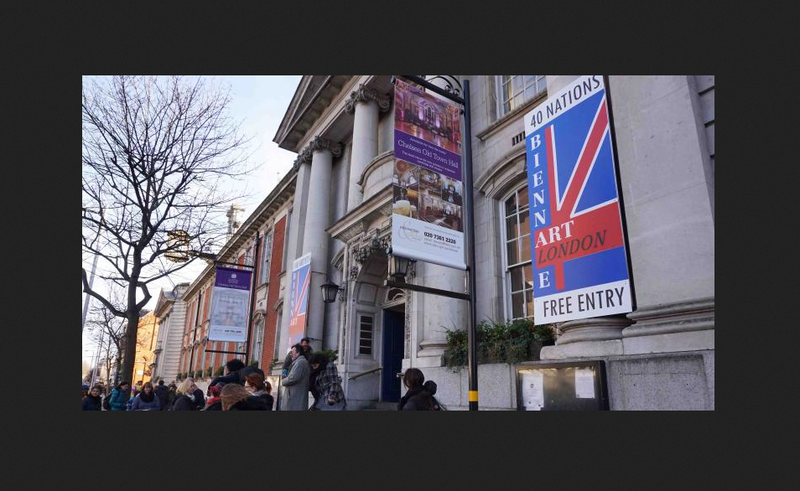 The "Americans in London exhibition went well. Here are a few photographs. These people made "Americans in London II" happen. 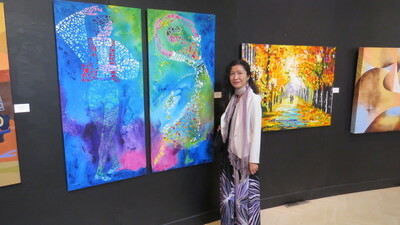 I am glad that I had paintings in this exhibition and look forward to the next one. 2017 Awards Ceremony held in Florence, Italy. This is Lara standing with my painting. It is good to have friends. 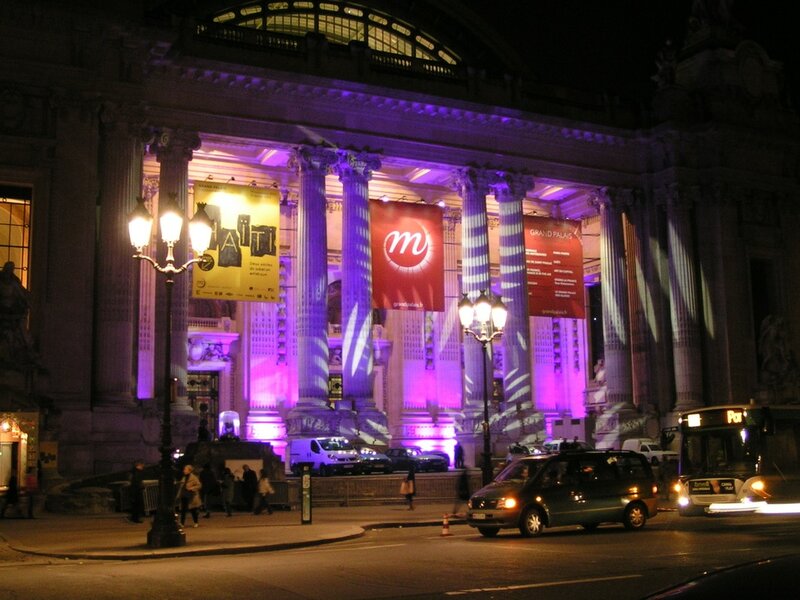 When I made the decision to walk to the Grand Palais that night, I had no idea what to expect. It was my first time to show art in Paris, and I wanted to know how long it would take to walk from the hotel to the Grand Palais. I was taking care of logistics. I turned the last corner, and all thought of logistics vanished. Before me was the main entrance to the Grand Palais. At that moment nothing else mattered. I sat on a nearby park bench for a very, very long time staring at the entrance, aware of nothing except the lights, my emotions, and later the profound meaning of that "moment". Tomorrow I would ascend those steps to take my place on one of the world's most prestigious paths without knowledge of where it will take me. But on that late November night, there was only the experience of "now". Another blog post will tell you more about the show. 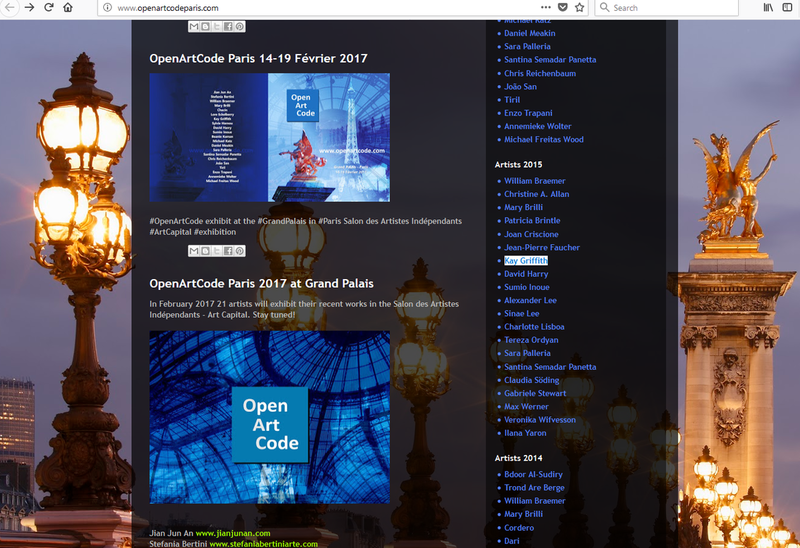 I was one of the Open Art Code members who was " invited to participate by the Society of Independent Artists, that was founded in 1884 by great artists such as Cezanne, Gauguin, Toulouse-Latrec and Pissarro. 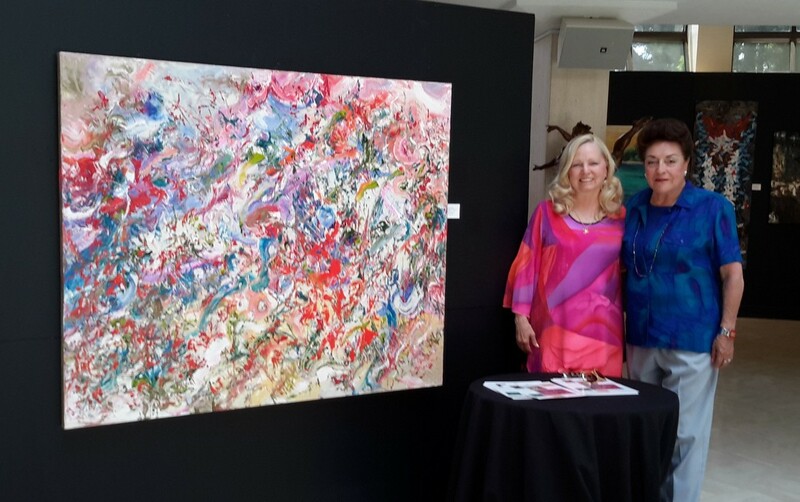 "** We showed work along side the Independent Artists Association of France in the Art en Capitol show. This show is a very important and prestigious show and is held in the Grand Palais in Paris, France. This year marked the third time that I have been honored to be invited. 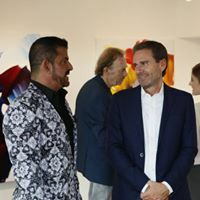 It is a privilege to show alongside the wonderful artists who are members of the Independent Artist Association and the international group of artists from Open Art Code. 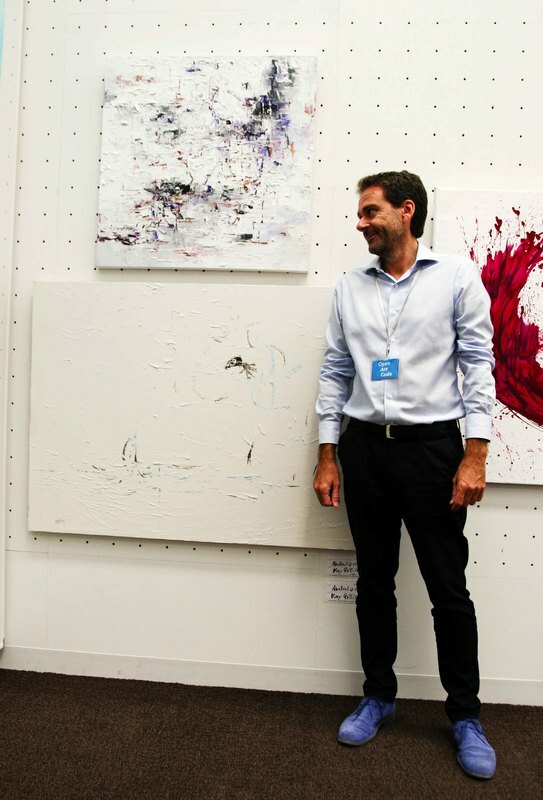 It is always exciting to have my art work in the Grand Palais in Paris, France; however, the organizers, the artists involved and all the patrons who come from around the world for this show make it truly amazing ! 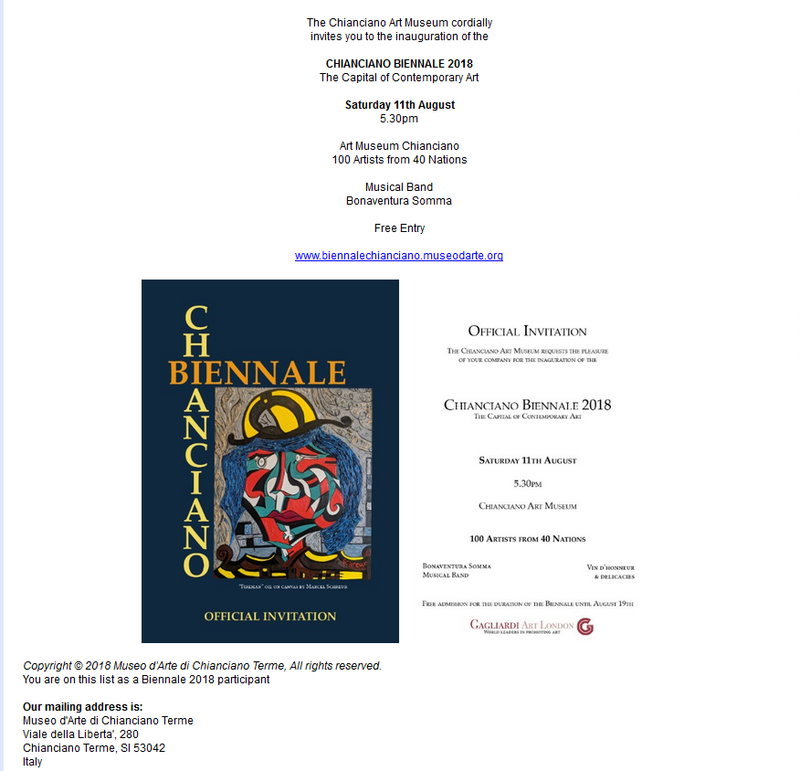 Today I accepted an invitation to participate in a museum show at the Chianciano Art Museum in Tuscany, Italy. I will give you all the details in a later post. 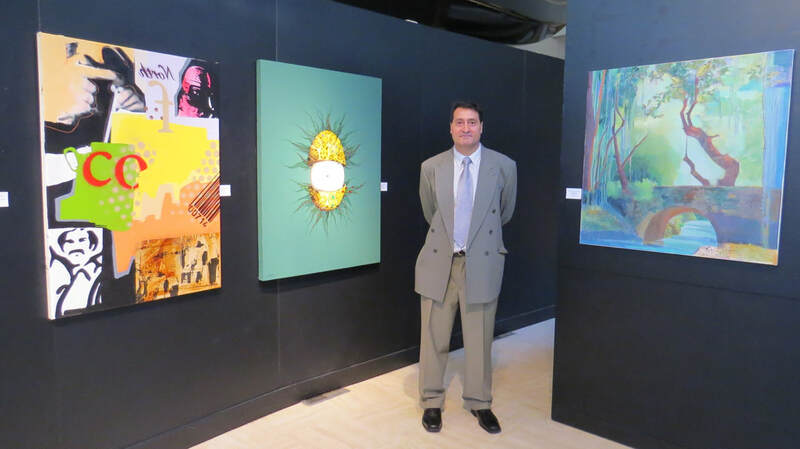 In 2016 I was named one of the top 60 masters of contemporary art by Art Tour International Magazine. 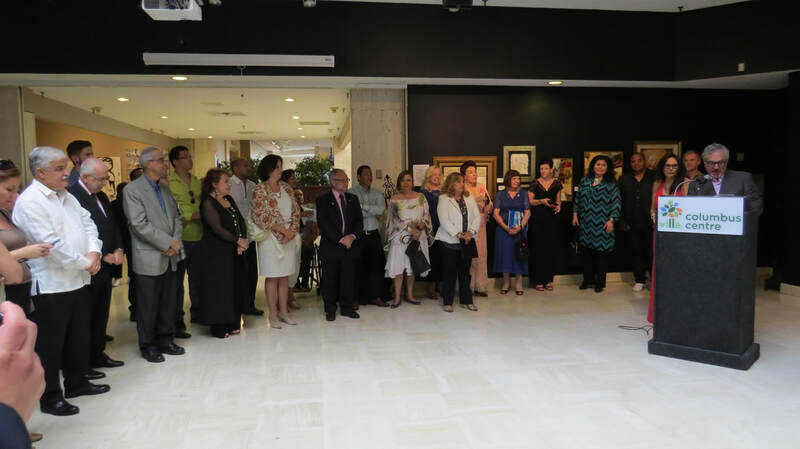 At the ceremony it was announced that an additional international panel of international art experts had selected the top 15 from the top 60. I was honored to be among the top 15. Below are photographs. 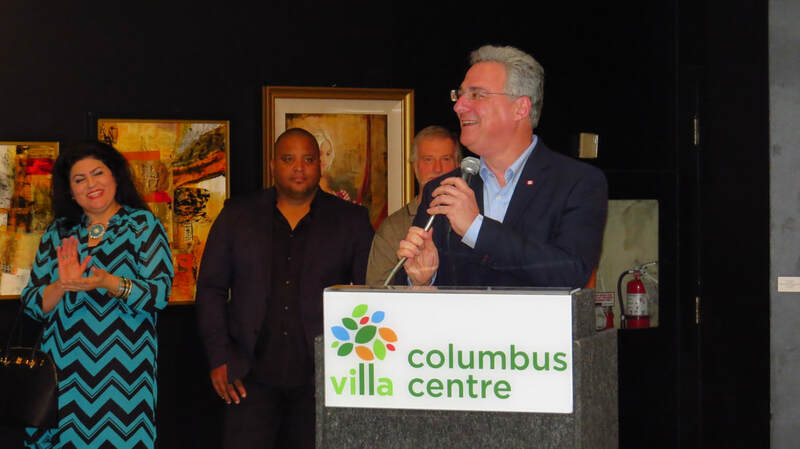 I was excited to be in attendance, as I was unable to attend the awards ceremony in 2015 when I was named one of the top 60 for the first time. I have been named one of the top 60 again this year --third year in a row !! I am obviously playing "catchup" with my blog, so I will l do a separate post to show you photograph of my painting that won a special award in 1915. 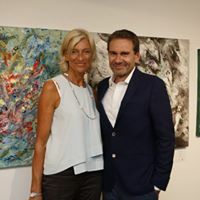 Alan Grimandi, Graphic Director of Art Tour International Magazine has just handed me my certificate for being one of the top 60 and the sculpture "Flying Above" awarded to the top 15 contemporary artists for 2016. 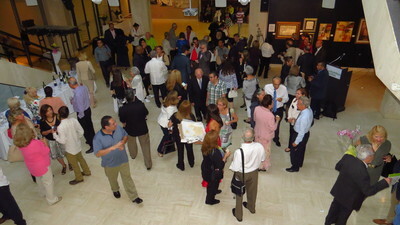 Top 15 were selected by international panel of art experts. 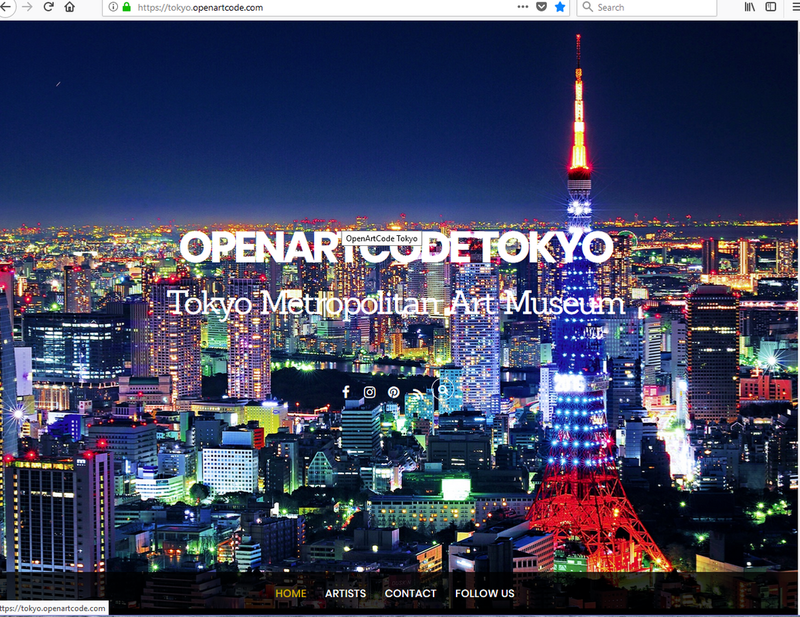 I have accepted the invitation to participate in a group exhibition at the Tokyo Metropolitan Art Museum. The exhibition is scheduled from September 27 - October 5, 2017. A question that I hear from time to time is "What inspires you to paint?" The shortest answer is EVERYTHING !! Rather than talking about a specific painting, I have decided to share musings from time to time. I was juried into London Biennale 2017. The jury selected Abstract U-152 and Abstract U-295 for the show. I am honored to have been among the artists selected for this exhibition.